The High Kings are an Irish folk group formed in Dublin in 2008. The band consists of Finbarr Clancy, Brian Dunphy, Darren Holdenand George Murphy. By June 2016, the group had released four studio albums, two live albums, and two live DVDs. Their first three studio albums appeared at number three or higher on the Billboard world music chart, the first two went platinum in Ireland and all of their albums charted in Ireland. After the release of their first album, the new group moved from a highly staged format to a more natural performance style. Their third album “Friends for Life” contains both traditional Irish songs, as well as some original songs. Since the inception of the band, The High Kings has toured Ireland, the United States, and Europe on multiple occasions. Together they play thirteen instruments during their performances. The group’s motto is “Folk ‘n Roll,” and their singing is especially noted for its close harmonies. Although they sing mostly traditional Irish songs, they are known to sing arrangements of songs from other genres as well. Finbarr Clancy toured the United States and Ireland in the 1990s with the Clancy Brothers, one of the most successful folk groups in Irish traditional music. He sang and played 5 string banjo, electric bass and flute with the group, which consisted at the time of Finbarr’s father, Bobby Clancy, his uncles Paddy Clancy and Liam Clancy, and his cousin, singer-songwriter Robbie O’Connell. As part of this group, Finbarr appeared in the Clancy Brothers’ filmed Farewell to Ireland performance in 1996, which has since been released on DVD. He also performed on three albums with this father. He usually plays the guitar and sometimes the banjo with The High Kings. Brian Dunphy got his first break as a performer in Riverdance: The Show. After two years as part of Riverdance, he became a member of The Three Irish Tenors. Dunphy had also been a member of the band Druid. He released a solo album entitled, Timeless,as well, in which Darren helped cowrite some of the original material. Brian is the son of Sean Dunphy, who represented Ireland in the 1967 Eurovision Song Contest. He typically plays the bodhrán and guitar with the group. Martin Furey, son of Irish folk musician Finbar Furey, formed the band Bohinta with his sister Áine in 1992. They had a top ten hit in France with the album Excalibur, featuring Jean Reno as Merlin. Bohinta released two albums, Sessions and Belladonna. Furey released Howl and concentrated exclusively on production and creative writing skills, working with Stuart Bruce (of Feed the World), Paul White (of SOS) and Martin Swan (of Mouth Music). He plays the banjo, bouzouki, guitar, and the modern low whistle, which his father had originally helped to create and develop. His singing style is characterised by frequent use of vocal ornamentation. Furey left the band in September 2017. Darren Holden starred in Riverdance: The Show on Broadway for eighteen months. He followed this success by appearing in the Broadway musical Movin’ Out. Holden played the role of Billy Joel both on Broadway and on a national tour of the United States (January 2004 – January 2007), as well as tours of Canada and Japan in 2006. Holden has also released three successful solo albums. Suddenly was released in 1998 and yielded three top 20 singles in Ireland and one top 30 in Finland. Live and Learn was released in the United States in March 2003, garnering three top 40 airplay hits on the country music charts. Roadworks followed in 2006 with success in Japan where it sold 20,000 copies. It was produced by Bryan Steele and Tommy Byrnes (Stray Cats, Billy Joel). Holden plays the accordion, mandolin, guitar and keyboard with The High Kings. He continues to perform solo shows when not with The High Kings. Holden regularly represents the band on National Television and global radio interviews and is known in media circles as the groups main spokesperson. The High Kings’ first album quickly climbed to the top of the Amazon music charts worldwide. The self-titled release also reached number two on Billboard Magazine’s World Music chart. The album spent a total of thirty-four weeks on the chart. In 2008, the High Kings toured the United States with “Celtic Woman” as the opening act. In 2011, the High Kings toured the US again, playing in Chicago, Albany, New Haven, Philadelphia, Boston and Atlanta to promote their new album release “Memory Lane,” which eventually reached the third spot on Billboard’s Top World Albums chart. On St. Patrick’s Day, they played for an American audience on “Live with Regis and Kelly,” and performed on stage in Boston that night. On 18 March 2012 the High Kings headlined the Mayor of London’s St Patrick’s Day celebrations in Trafalgar Square to an estimated 15,000 people. On 20 March 2012 The High Kings were invited to perform at the Official St Patrick’s Day Celebrations at The White House in Washington DC, United States. The event was hosted by US President Barack Obama and attended by Taoiseach Enda Kenny. On 6 July 2012 The High Kings were invited to perform at the residence of the President of Ireland Michael D Higgins. On 12 March 2013 The High Kings announced a forthcoming third studio album produced by Sharon Shannon and John Dunford, consisting of eight original songs and a selection of classic ballads. 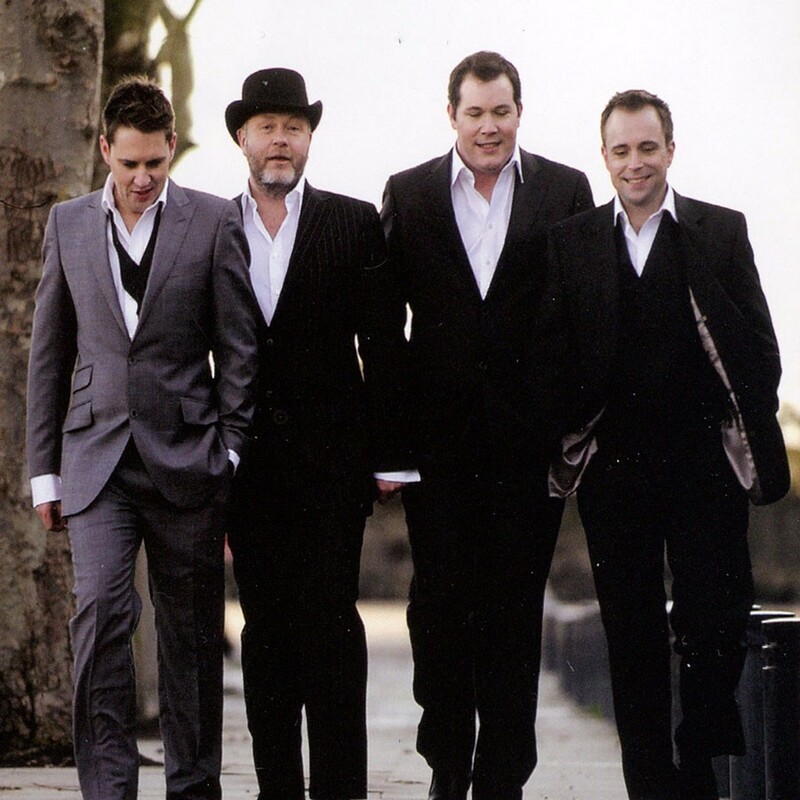 On 23 September 2013 The High Kings released Friends For Life on the Sony record label. The album reached number three on the Billboard Top World Albums chart. In 2016 the band performed at RTÉ’s Centenary Concert to mark the 100-year anniversary of Ireland’s Easter Rising. In May 2016, The High Kings released their 4th studio album ‘Grace & Glory’ to huge acclaim which saw the band enter the iTunes Charts in the USA, UK, Germany and top the Independent Artists Irish Albums Charts. In June 2016 the band played all 3 stages at the Isle of Wight Festival, followed by a career-defining performance at Glastonbury Festival 2016 on the legendary Acoustic Stage. The band will undertake their most extensive Tour of the USA in 2016 with almost 50 shows confirmed. “Hand Me Down My Bible” was released as a single in July 2016 and quickly became played on many radio stations in Ireland to much acclaim. In late December, the High Kings began their Grace & Glory tour. The event began on 27 December in Belfast, and (as of this edit) has not ended yet. The album contains very traditional Irish music, ranging from gentle religious songs, to rousing pub music. The instrumentals for the music are all provided by the High Kings themselves. In September 2017 the band announced that Martin Furey would be retiring from The High Kings, and that an announcement would be made later regarding his replacement. In October 2017, they announced that George Murphy would join them on a Canadian tour, and he was later added as a permanent member of The High Kings. They also announced that The High Kings would be debuting a new album in November 2017, Decade: The Best of The High Kings.